Health is more than the absence of disease — it’s a sense of optimal body function and vitality. 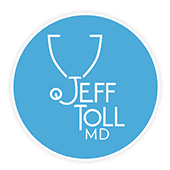 At his practice in Los Angeles, Jeff Toll, MD, and his team use functional medicine practices not just to treat your symptoms, but to delve deeper to identify the problem that’s causing your condition. Even if you’re not troubled by health problems, functional medicine can improve your overall health and wellness. Call or schedule an appointment online today to learn how to optimize your health. Functional medicine is a biology-based, systems-focused approach to addressing your overall health and well-being as well as correcting the underlying functional problems that cause health problems and disruptive symptoms. Dr. Toll is committed to helping you and your family improve your overall health and wellness, and functional medicine enables him to identify the true cause of your health concerns and provide treatments to not only relieve your symptoms but restore balance and proper functionality throughout your body systems. Hormones regulate everything your body does. From turning food into energy to regulating your libido, your hormones control your body’s functions. When you have a hormonal imbalance, your body doesn’t function correctly, which can lead to disruptive symptoms such as weight gain, fatigue, and illness. Many conditions — like diabetes and Hashimoto’s disease — are due to hormonal malfunction. Dr. Toll uses functional medicine to restore balance to your body and resolve your related illnesses and symptoms. In addition to resolving health conditions, Dr. Toll uses functional medicine for preventive purposes, restoring your body’s ability to function at optimal levels to ensure your health and wellness. Dr. Toll uses functional medicine as part of his holistic approach to providing the care and treatments you need to optimize your health and wellbeing. It usually involves a natural, drug-free approach, such as dietary changes and nutritional supplements, to give your body everything it needs for vitality and true health. If you want to know more about how functional medicine can improve your health and well-being, call or schedule a consultation online to meet with Dr. Toll.